Easylift R-160 access hire – Call for our best prices. 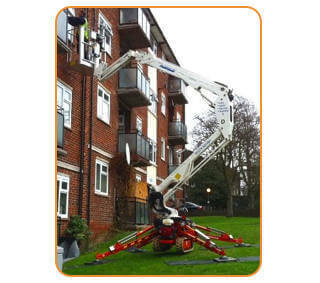 The Easylift R-160 is a narrow tracked spider lift offering a working height of 15.8 metres for internal or outdoor work at height. This narrow access cherry picker from Easylift has a compact and lightweight chassis with a stowed width of less than 1 metre. The bi-fuel petrol engine and non-marking tyres make the Ragno R-160 well suited to a range of maintenance work. Due to the complexity of rough terrain tracked platforms, we recommend customers hire with a trained and experienced IPAF MEWP operator. No time to call? Complete the form below to get in touch and we will call you back.